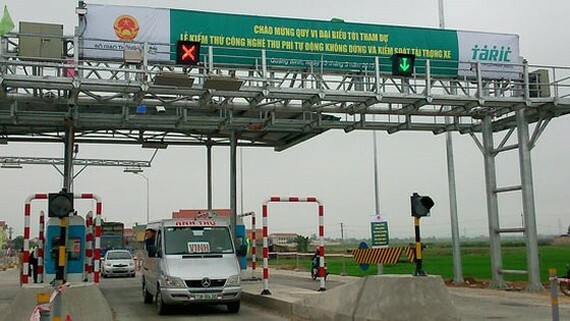 Minister of Transport Nguyen Van The required the Directorate for Roads of Vietnam to build a roadmap ensuring that electronic toll collection would be implemented at all BOT (Build-Operate-Transfer) toll stations nationwide in 2019 at a meeting yesterday. By the end of 2018, it must be carried out at all BOT tollbooths in National Highway 1A and Ho Chi Minh Highway in the Central Highlands. So far, 22 out of 24 BOT stations in the national highway and highway have signed contracts with automatic toll collection supplier Vietnam Electronic Toll Collection Company (VETC). 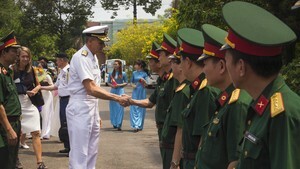 It is under negotiation for two remaining stations in the national highway in Can Tho city and Khanh Hoa province. Of the singed contracts, 12 stations have operated and six have been installed. VETC has supplied e-tags for 270,000 vehicles so far. At the meeting, Mr. The required VETC to seriously conduct the signed contracts and ensure electronic toll collection system to operate smoothly and exactly. Authorized agencies should determine more service suppliers similar to VETC to create transparency.